THE DROWSY CHAPERONE - WOW! "Director Pearson, musical director Salazar, and choreographer Todd elicit some terrific performances from their student cast..."
"Under Salazar's expert musical direction, harmonies are great and the pit orchestra sounds every bit as splendid as you'd expect from a professional production." "Reefer Madness the Musical Smokes at Cerritos College..."
"Salazar leads a pitch-perfrect orchestra"
Review by Les Spindle (BackStage.com) "Hector Salazar's rousing music direction and conducting." 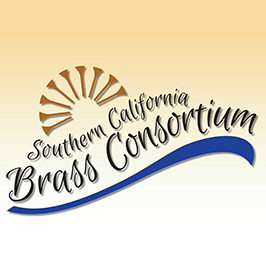 "Musical director Hector Salazar does a fine job conducting the big Downey Civic Light Opera Orchestra." These are taken from actual Patron comments from Goldstar.com after seeing Sweeney Todd at El Camino College. "A WOW for Sweeney Todd"
"The 19-piece orchestra hits nary a false note under the superb musical direction of Hector Salazar." Interview before concert on February 7, 2009 at CSU Dominguez Hills. "Salazar's conducting is on par showing his range and expertise." "Salazar's conducting pulls together the piece [Reinecke Symphony No. 3] and is a beautiful conclusion to an amazing afternoon." "I like to challenge myself and the orchestra to do something new and different, and challenge the audience to open up their possibilities to something new and fresh." "Musical director Hector Salazar's men and women in the pit capture that Broadway energy that is inherent in the Loesser score." "...[Hector Salazar] elicited a dulcet sound from the players in the tone poem, "Wo die schonen Trompeten blasen" (Where the Shining Trumpets Sound) as well as the other lieder." "The orchestra's assistant conductor Hector Salazar, of El Camino College, filled in for Steiner. He is an experienced musician, having already conducted the COSB and other Southland orchestras." "Salazar's conducting is very musical. Despite the limitations of last minute rehearsals, he secured the performances when necessary... Salazar is a fine conductor of the contemporary repertoire ... there was a constant sense that conductor and orchestra were participating in a gripping musical experience." "Hector Salazar's vibrant musical direction does full justice to the glorious score." You're going out there a guest conductor, but you're coming back a star! 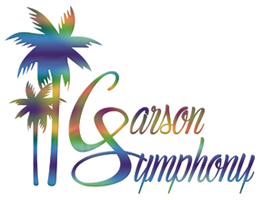 "OK, so maybe it wasn't that dramatic, but Hector Salazar's last-minute substitution for Dr. Frances Steiner in Saturday's performance of the Carson-Dominguez Hills Symphony Orchestra was impressive enough . . . "
"Hector Salazar took the baton for the introductory pieces: four of Joplin's rags. Salazar paid close attention to the composer's omnipresent warning to 'Never play ragtime fast!' as a result, Joplin's fecund compositional mind was displayed with verve and charm." "Salazar reveals a fluid and clear baton technique and an intelligent sensibility."